At the peak of summer, driving from Aspen to Leadville along Independence Pass can be a headache, as the highway is full of tourists stopping at every vista. But as the fall colors creep down the valley, crowds of tourists vanish, making this time of year the perfect time to explore Independence Pass and have it all to yourself. 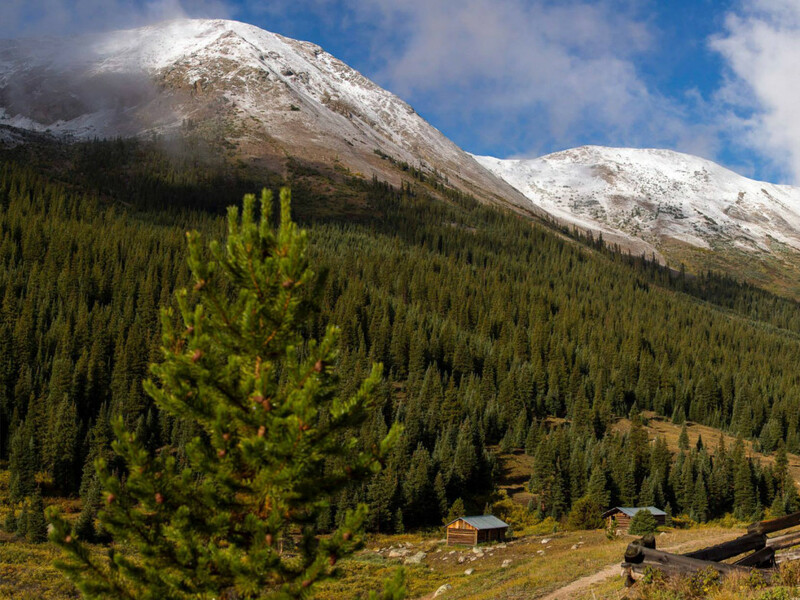 Here, five great ways to experience Independence Pass in fall, from high-elevation hikes to a hidden ghost town; the hardiest of souls can even take an arctic alpine plunge. Take advantage now through mid-November, when the pass closes for the winter. 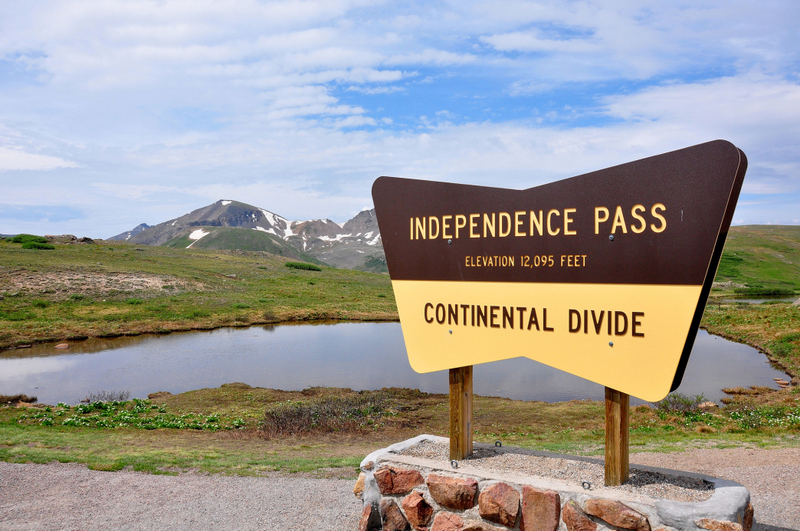 The road peaks atop the Continental Divide at 12,095 feet above sea level, and Highway 82 is the highest paved crossing of the Continental Divide in the United States. 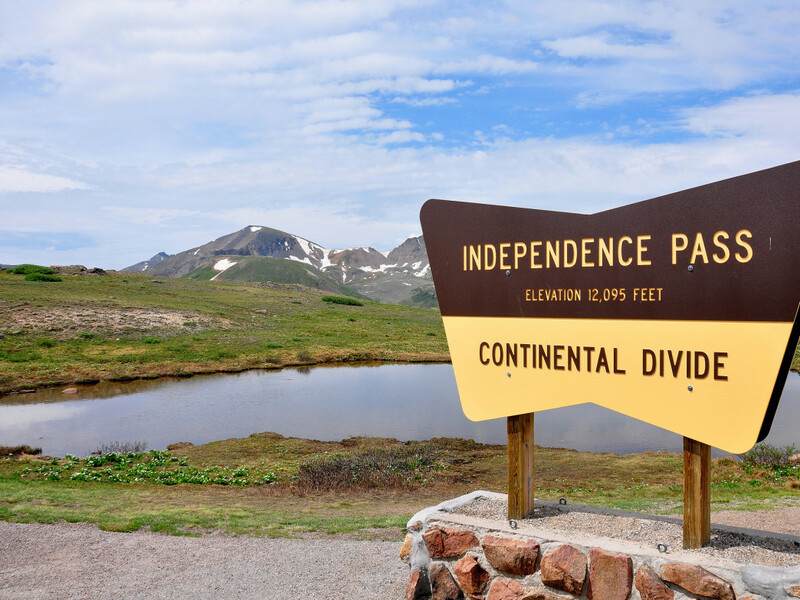 A paved path from the parking lot offers stunning views of the nearby 14,000-foot peaks, know as fourteeners. To push your lungs at this elevation, head for the old jeep trail just south of the parking lot. The trail eventually reaches Mountain Boy ridge, a popular backcountry skiing line in the late spring. The views only get better as you head higher, making you feel as though you are at the top of the world. North of the parking lot, there is no trail, but hikers can explore the fragile tundra full of wildflowers as they head up toward Blue Peak and look down toward the Hunter-Fryingpan and Mount Massive wilderness areas. Both excursions can be as short or as long as the weather allows. 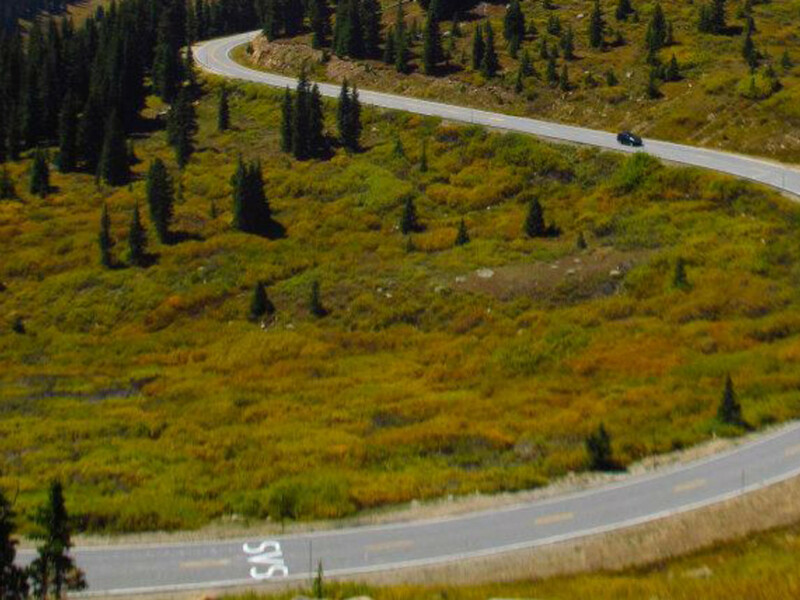 As you drive down from the divide toward Aspen, the first hairpin turn marks the upper trail head for Lost Man Loop . This trail traverses two scenic valleys with three beautiful lakes separated by a panoramic pass. The trail meanders with some moderate ascent toward the saddle of Lost Man Pass. Several times, it crosses over a bubbling stream, which is actually the headwaters of the Roaring Fork River. It's hard to imagine this trickling creek becomes the roaring rapids of the Cascades not too far down the hill. 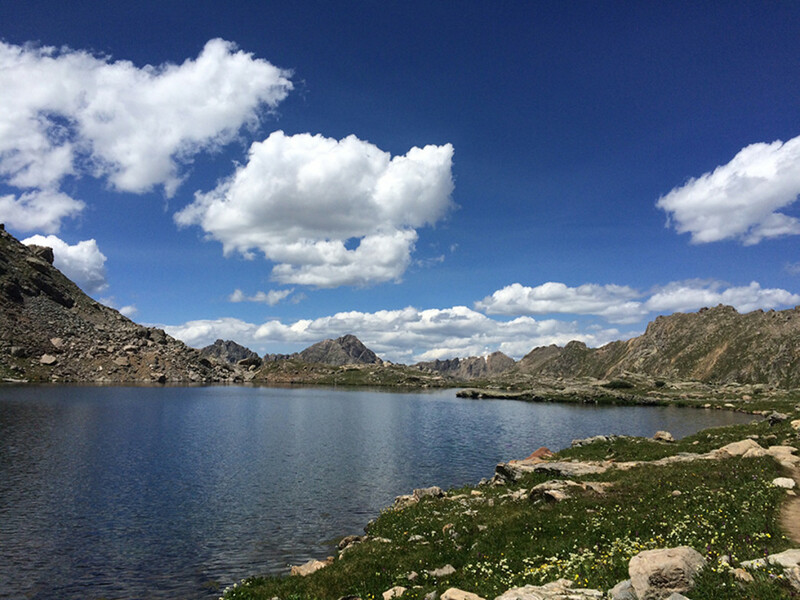 A perfect hike on this side of the loop is up to the saddle of Lost Man Pass at 12,815 feet. Peaks stick out in every direction: La Plata and the Collegiate Peaks to the south, Twinning and Geissler to the east, and Williams Mountains to the west. From the saddle, the trail descends through talus to Lost Man Lake, a picturesque infinity pool with peaks reflecting across the surface. It's a perfect spot to sit and enjoy a picnic (although as it is above tree line, there is a lack of shade). A few more winding turns down the highway brings you to Independence Ghost Town. The town and the pass gained their name when a miner struck gold here on July 4, 1879. The mining town quickly boomed to about 400 people, and then quadrupled, only to go bust a few years later. Now the ghost town consists of handful of its original structures that are still standing. A trail leads from the parking lot and wanders through all the buildings, at just less that a mile. But for more mileage you can continue to hike to the remnants of the nearby mill. About nine miles uphill from Aspen, you will find a parking lot for the “Grottos Day Use Area," referring to the Grottos: a series of caves and channels that have been carved by the Roaring Fork River, almost like mini slot canyons. They are also called ice caves, as the sun barely reaches into the caverns and keeps snow frozen through most of the summer. 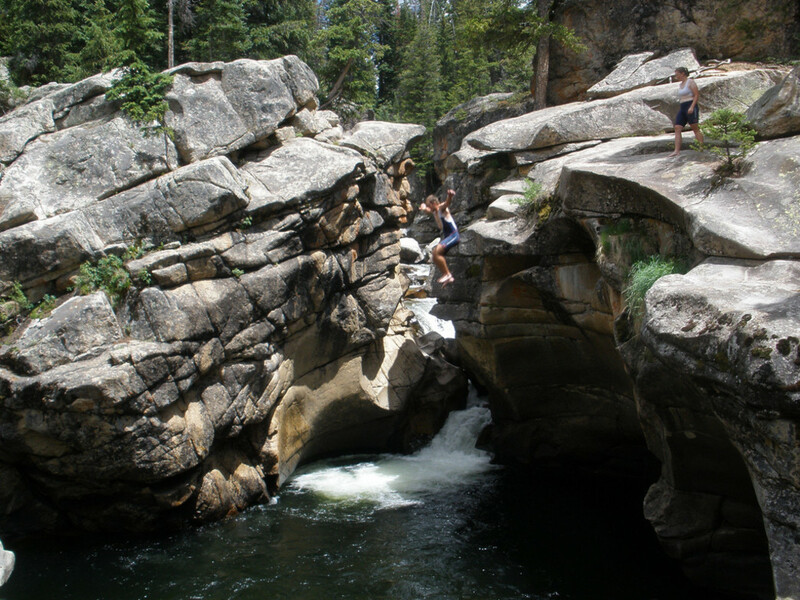 Though the trail is not well marked, this is a great place to explore the rock formations and natural water features; they're also a popular climbing destination. About one-quarter mile of the old stagecoach road connecting Leadville and Aspen is preserved here, a pleasant hike along a small canyon to the confluence of Lincoln Creek and the Roaring Fork River. As you take the trail uphill, follow the sound of rushing water. The source is the Cascades, where the river roars through smooth, sculpted granite, creating a series of beautiful waterfalls, rapids, and pools. The path is a loop and will eventually circle you back to the parking lot. The local’s favorite playground on Independence Pass is the Devil's Punchbowl, a distinctive feature with near vertical rock walls around a deep pool of swirling water. 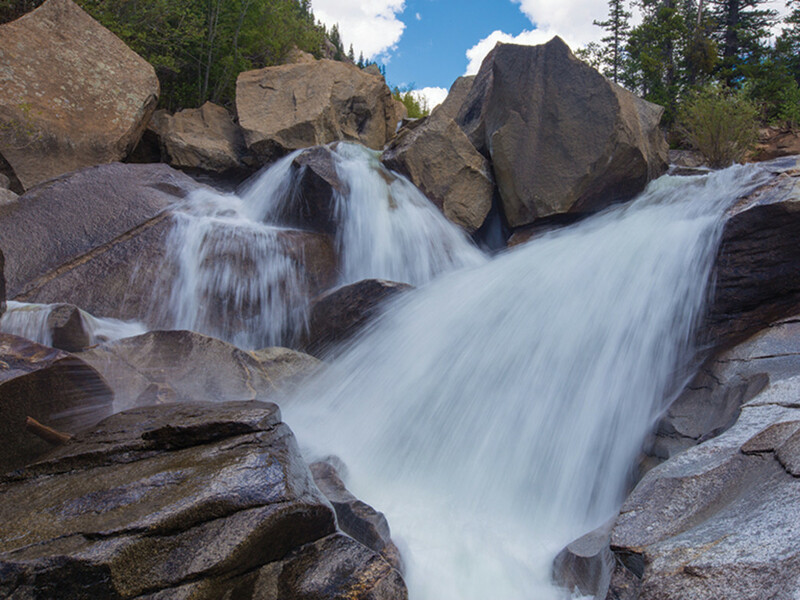 Like the Grottos, the feature was formed from the rushing waters of the Roaring Fork River over time. The Devil’s Punchbowl can be accessed from a parking area near mile marker 51 off on Highway 82. You can climb around the feature or sit by the lower pools. More daring explorers take the plunge off the far ledge into the nearly freezing water. And on some afternoons, you will catch local ski bums attempting insane aerial maneuvers from the higher ledges.